This entry was posted on May 22, 2013 by Jo L.
We have increased our range of Osmo hardwax oils available for purchase on our online shop. 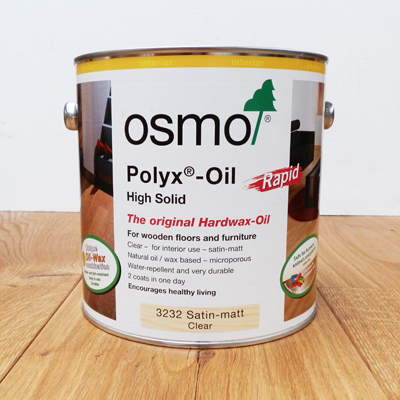 Easy to apply and highly recommended for finishing wood floors, worktops, doors, furniture and joinery, Osmo hardwax oil is also hardwearing, water and dirt repellent and patch repairable. 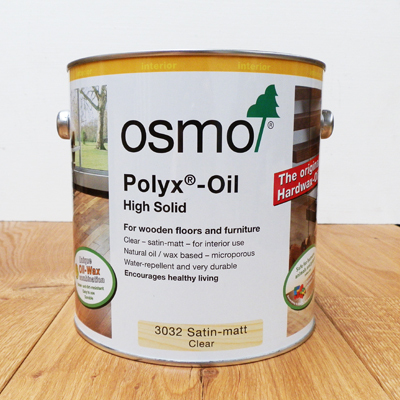 Osmo Polyx Oil 3032 - standard hardwax oil (above), with a clear "satin matt" finish is available in a 2.5L and a 0.75L tin. 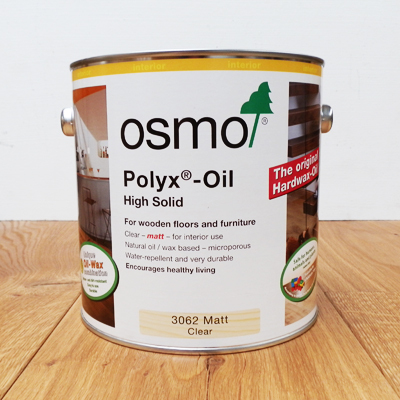 Osmo Polyx Oil 3062 - the same hardwax oil but with a clear "matt" finish, perfect for those who prefer less sheen, is available in a 2.5L tin. Polyx Oil Rapid 3232/3262 has a quick drying time which allows for two coats to be applied in one day. 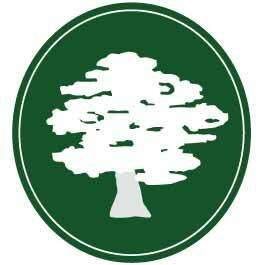 Available in a 2.5L tin in both satin matt and matt finishes. Looking for that untreated look? Polyx Oil Tints Raw 3044 could be the answer. 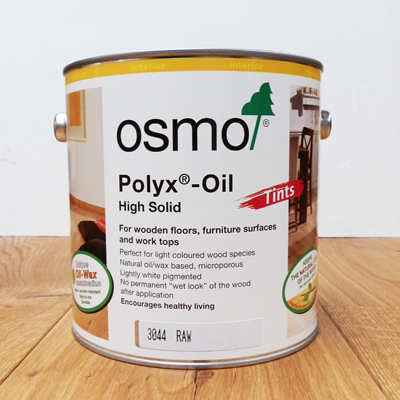 Osmo's newest hardwax oil is perfect for light coloured wood species, it has a light white pigmentation which leaves a clear, raw finish. For further advice on fitting and finishing your wood flooring call us on 01535 637755 or follow the link to download our free Hardwood Floor Fitting and Maintenance Guide.